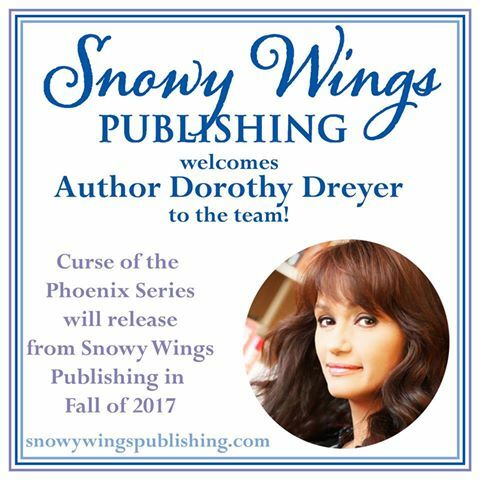 Snowy Wings Publishing is pleased to announce that we will be publishing the CURSE OF THE PHOENIX duology, a New Adult fantasy by Dorothy Dreyer, author of the Reaper’s Rite series. The first book, PHOENIX DESCENDING, is due out in November 2017, with the second book, PARAGON ASCENDING, expected in 2018. We are so excited to have the awesome Dorothy Dreyer joining our team! Welcome, Dorothy! P.S. This announcement was revealed early to our Snow Angels street team. Want to know the latest news from Snowy Wings Publishing? Why not sign up to be a Snow Angel yourself? You’ll be the first to hear all the latest about new authors joining our team, new releases, cover reveals, ARCs and more! And it’s all 100% free. If you’d like to become a Snow Angel yourself, go here!